"I've Given Up on Destiny and Got My Refund" "ERRORS ERRORS ERRORS" "Server problems. Worse then ever now -.-" These are some of the top trending posts on Bungie's official help forums. As you can probably guess, they're filled with angry people. The users in those threads are mad at the lack of a support infrastructure to help them resolve various issues that prevent them from playing Activision's high-profile sci-fi shooter. 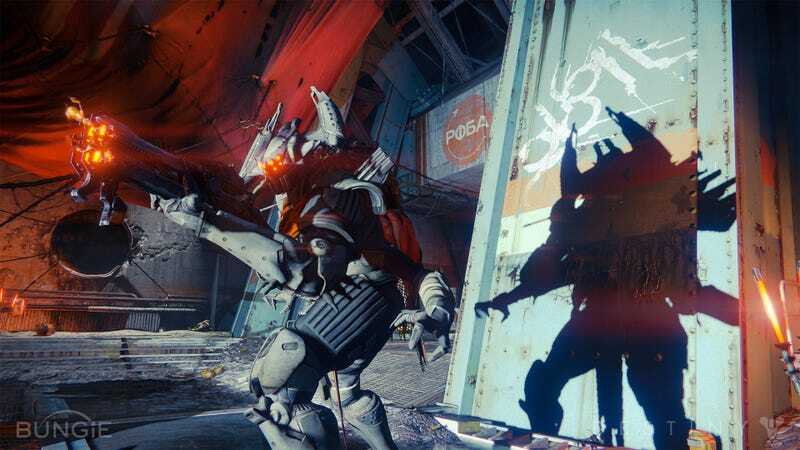 Destiny spits out error codes named after animals (and sometimes plants) when it's having problems connecting to servers. But hundreds of players on Bungie help forums feel like guidance on resolving those problems has been elusive. There's seemingly no dedicated phone number or support staff for helping Destiny's beleaguered players out and, when a game's sold millions of copies in a week's time, that's a big problem. Information regarding possible fixes patches has come through Bungie's support site and @BungieHelp but those channels don't seem to be enough to handle the quantity and variety of complaints. A specific forum topic was started by Bungie as an epicenter for player problems and solutions, as well. But, as also reported on Ars Technica, some people on Bungie's help forums feel like crowdsourcing fixes is not enough. Big games—especially ones that are heavily dependent on a constant connection to remote servers—often launch with problems. Rockstar Games offers support for its various titles, with forums that show when an issue has been responded to. And Activision has a robust support site for all its other games, with personalized support for individual users. But, without better customer service communication, Destiny's problems might take a long while to get better. "Since launch the Destiny datacenter has remained fully online and functional serving millions of users through the most successful launch of a new IP ever. We are aware of a small number of issues which are largely the result of internet filtering from institutions like universities. Bungie's networking team has been working actively with those institutions and hardware providers to make sure we're doing everything we can to keep people playing."